This is the High Performance version of this battery offering a whopping 270 CCA. 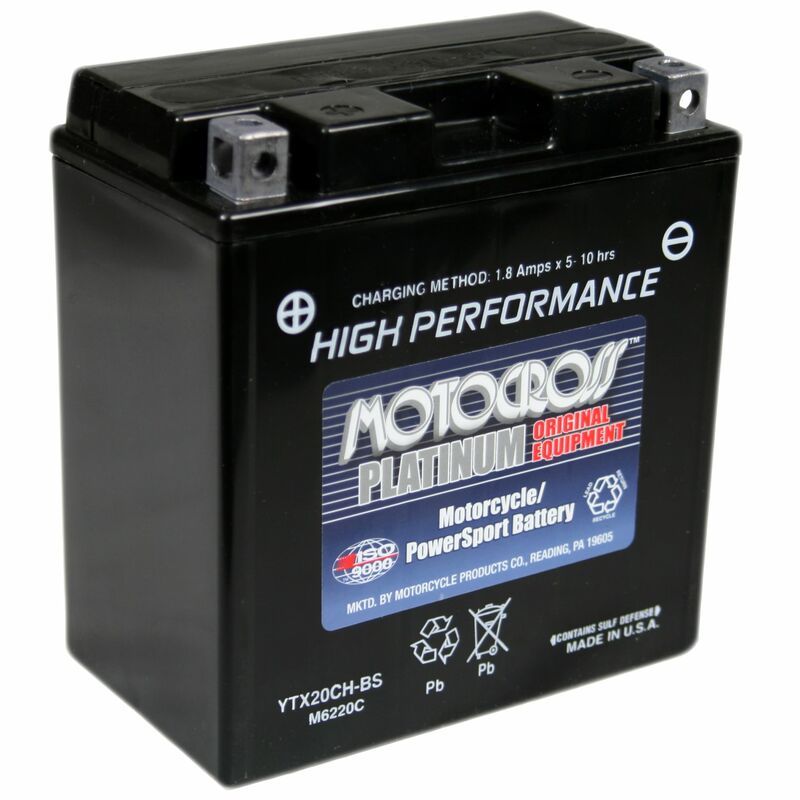 Finally a High Output battery for your personal watercraft or ATV! Rated 5.00/5 Stars from 17 customer reviews. Do you own the YTX20CH-BS? Please, tell us what you think about it. It helps us provide you with better products. Please note that it may take up to 72 hours for your review to appear. Pros: Good price, fit perfectly, and started my ATV, so, i am happy. I hope it holds up better than original battery, but only time will tell. The fast shipping was a real plus too. Pros: Great deal, no hassle purchase. It arrived just a few days after ordering. A perfect like-for-like fit. Cons: None. Will purchase again. The website interface is a little clunky, it's not entirely clear if a personal account is needed to make a purchase. Pros: The battery was identical to one I had purchased from a Suzuki dealer for 50% more money. I have ordered from batterystuff before and would order again. Cons: none that i know just pricey a little. Pros: Your company provided excellent service. The battery arrived, well packaged and excellent delivery service. I gave the battery a small charge to make sure it was fully activated. The battery was installed in a 2002 Kawasaki Vulcan Nomad Fi. I also have a 2004 Honda Rubicon 500. This battery will also work in that vehicle. A high amp battery with excellent starting power. Hi highly recommend your company and product and also the company you selected to ship the product to me. Item was ordered on 3rd. April 2013 and received at my address in Canada on 11th. April 2013, a total of 2671 miles as per delivery route. Keep up the good work. I highly recommend your company. Pros: Repeat buy from Battery Stuff. Product and service are outstanding! Saved 1/3 of cost over identical product at a Suzuki dealer! Pros: Very good people to deal with. Service was very good and fast. The battery fit perfect. It turns my vulcan 1600 nomad over like it is a small 250cc. Very pleased with service and the battery. Will buy all my batteries from you. Pros: This is my second AGM battery I've purchased from BatteryStuff for my Kawi Nomad. I can't say enough about the great Product; Price; or the Customer Service I've received from the company reps. They are very helpful & knowledgeable. I will be back for any future purchase & highly recommend BatteryStuff. Pros: Good battery...bought a maintenance charger to go along with it. Pros: I bought this gelcell battery as a replacement for a lead-acid battery that lasted only 12months. I am hopeful that the gelcell battery will provide a longer term lifespan use in my Suzuki motorcycle. I appreciate the fact that I just had to receive and install this battery. Pros: Battery perfectly and the connections were made easily. The engine cranks well and starts quickly. Maintenance free is a big plus. Cons: No cons...the big plus will be if it lasts longer than standard lead acid batteries. Pros: This is a well designed battery with high cranking amps. 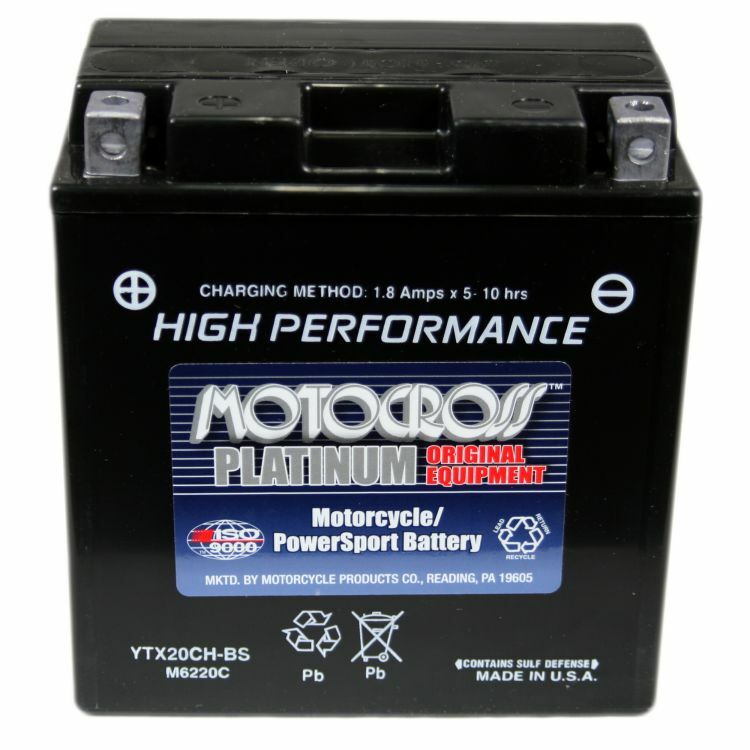 This battery is being used in a 2009 Pro Custom Street Chopper. 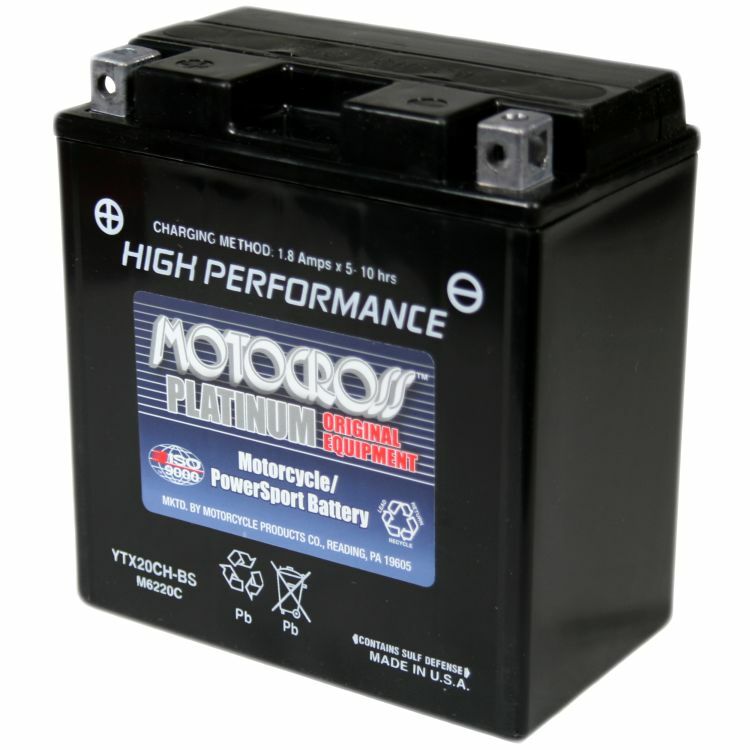 I have a similar battery used in a 2002 Kawasaki Vulcan Nomad. Due to these batteries not containing liquid, they are spill proof which is a huge plus in motorcycles, ATV use etc. I highly recommend this type of battery. If not using a battery tender, these batteries can be charged using an automotive battery, set on low. Check periodically. Charging these batteries takes quite a bit longer than automotive due to charging at a lower setting. A word of caution when using the automotive charger do not charge on the higher settings. Pros: Identical to battery the "stealer" sells for 50% more money! Delivered in short time to my mailbox-aving me time and gas money. Pros: BatteryStuff's 270 amp battery fix my M109R where a 220 amp used to live! Extra amps mean better starting performance. BatteryStuff immediately shipped a replacement when the first battery arrive damaged! Cons: Better shipping protection might be in order. Very happy. I'll order again when I need another. Pros: In search of a replacement battery for my Kawasaki Vulcan 1500, I could not find one locally. I was able to locate one from Batterystuff.com through a search engine. The price was great as was the upgrade battery with additional 30 amp crank for only $10.00 more. No shipping cost or tax. Received it ups within several days of the order.